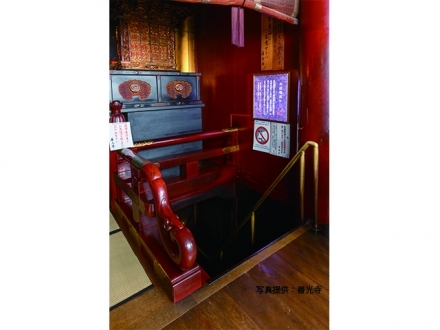 The foundation of Zenkoji temple is believed to be around 1,400 years ago. The present main hall is a majestic wooden architecture rebuilt in the Mid-Edo period (1707 A.D.), spans 24 meters wide and 54 meters long. 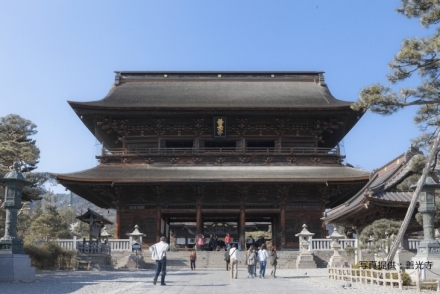 It has a unique structure called “Shumoku Zukuri (literally, ‘wooden bell-hammer structure’)”, which illustrates the old custom of “okomori”, during which many pilgrims seclude themselves overnight to offer prayers. It was designated as a National Treasure in 1953. 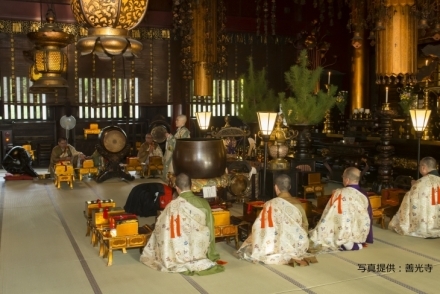 Zenkoji has been known as a temple that saves people regardless of their sects. 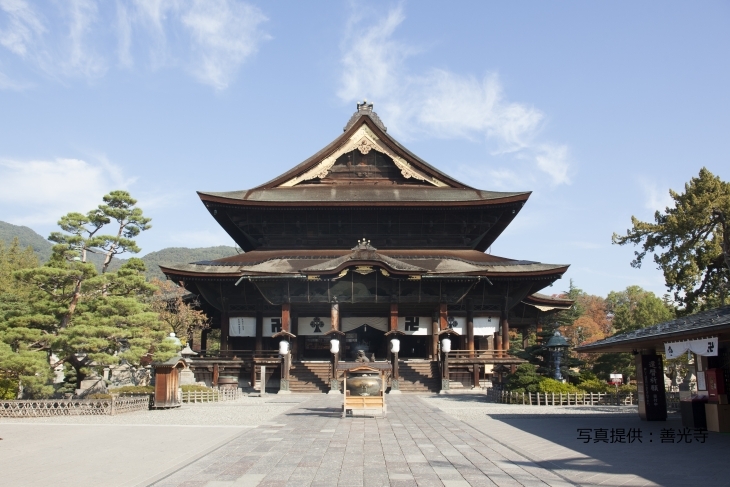 Many pilgrims from nation-wide have been paying visits since the Heian period (8th century). Approx. 10 km from Nagano IC. 30 min. walk or 10 min. bus ride from JR Nagano Station. Zenkoji Parking Lot #1 (Northwest of the precincts)：Public parking. General passenger cars only. Open 24 hours. Zenkoji Parking Lot #2 (West of the precincts): For Pilgrim’s lodging only. Zenkoji Parking Lot #3 (Northeast of the precincts): Public parking. General passenger cars only. Open 24 hours. Zenkoji Parking Lot #4 (West of the precincts): For general passenger cars, motorcycles and buses. Open 24 hours. Zenkoji Parking Lot #5 (West of the precincts): Public parking. General passenger cars only. Open 24 hours. From sunrise till sunset (changes between 4:30 and 16:30 dependeing on the season).